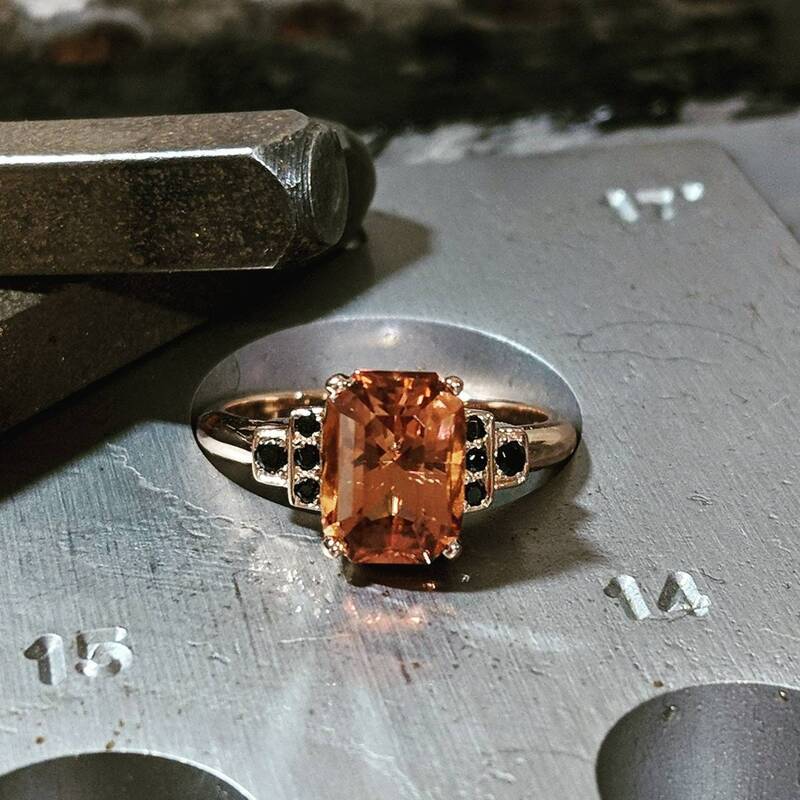 Adele is a dress ring that is a little different but in a classic kind of way. 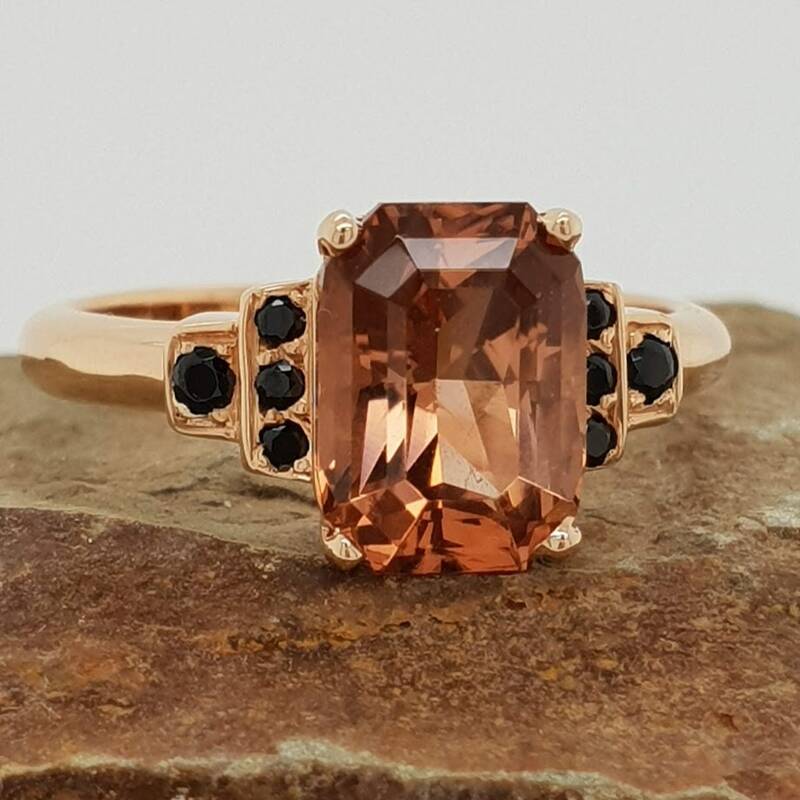 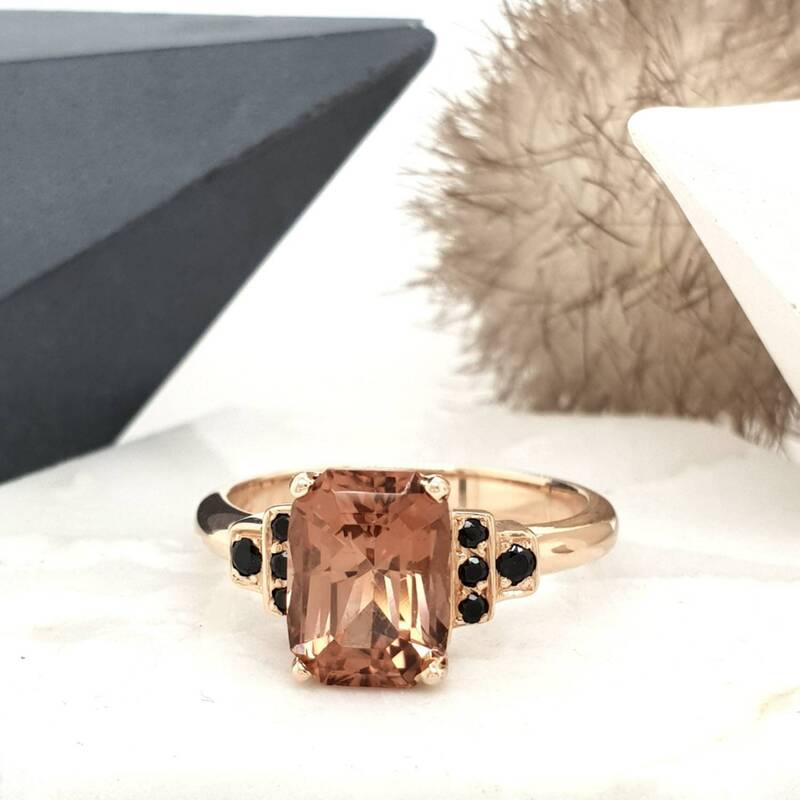 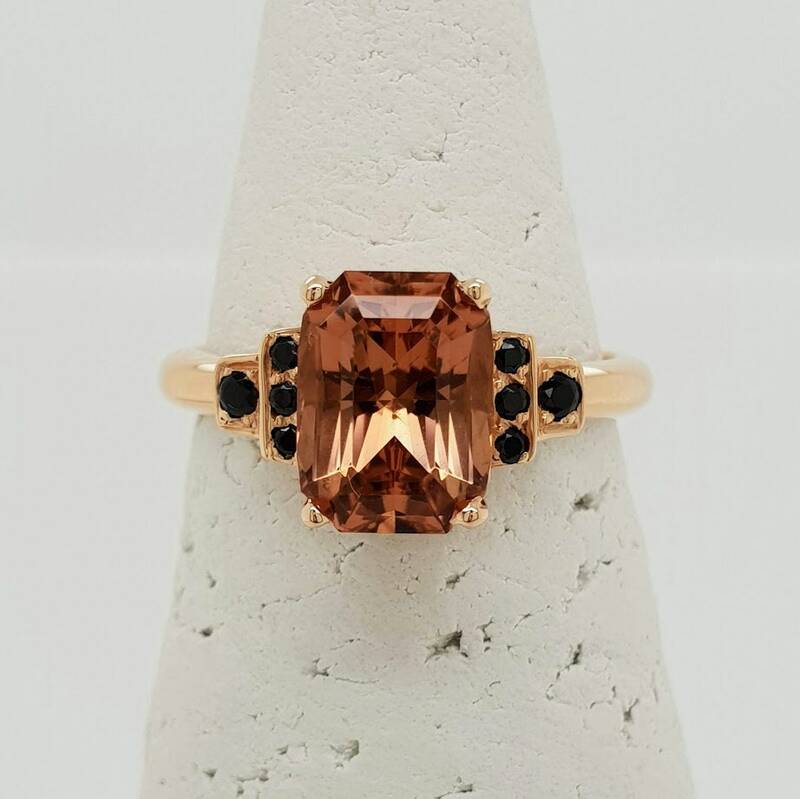 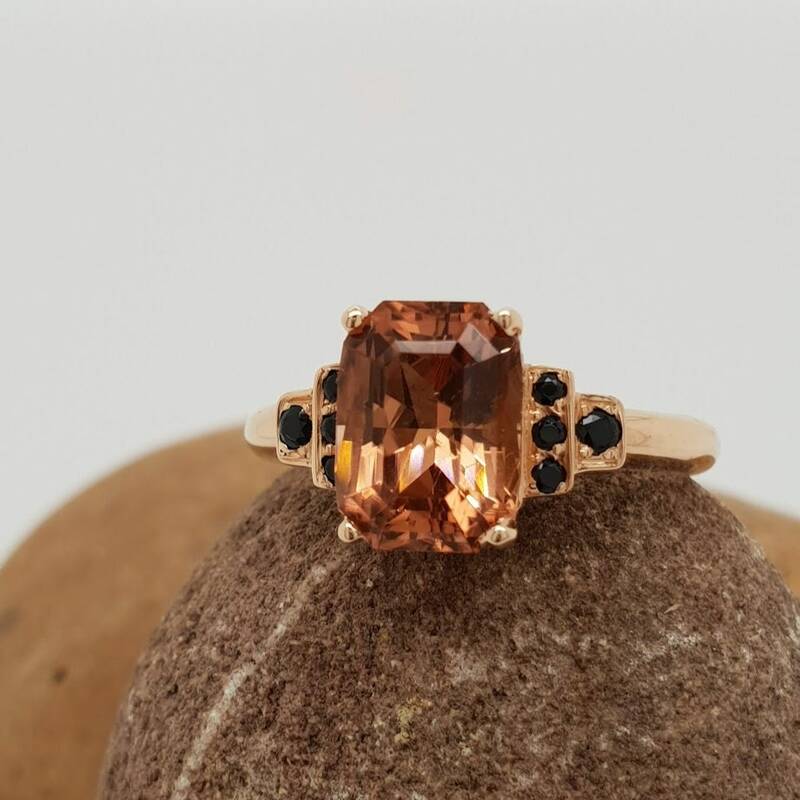 Adele is made from 18ct Rose Gold in a finger size L1/2. 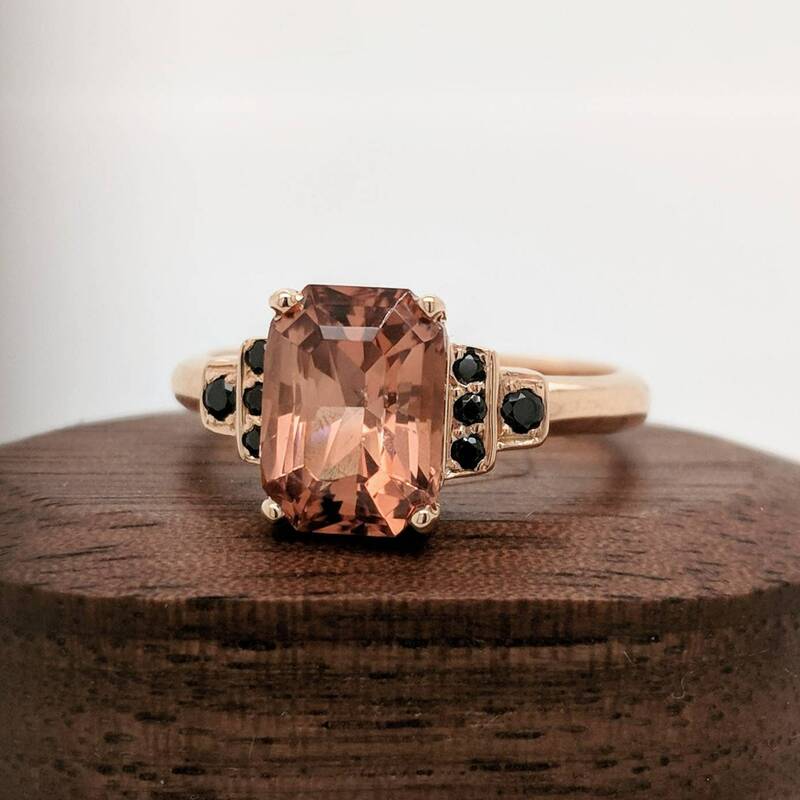 Set with a 2.55ct master cut peach tourmaline and black spinel shoulder stones. 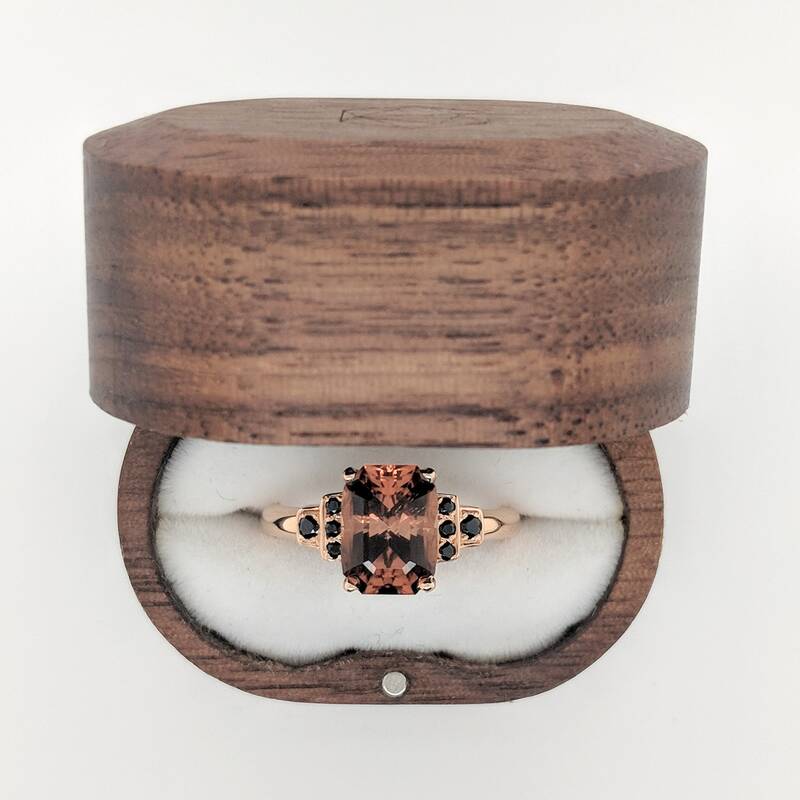 Adele will come presented in a beautiful timber box.